/ Instagram Unusual Login Attempt Warning? First off, don’t panic. Instagram has some pretty slick built-in security tests so when it sees you log in from a remote location or sees someone try to log in to your account, it can trigger either this “unusual login attempt” or the “suspicious login attempt” condition. In both cases, Instagram sees that something atypical has happened and wants to ensure that everything’s okay. In fact, you should be appreciative that Instagram is trying to help you ensure that you don’t lose your account access to some nefarious hacker, likely far across the globe! Which doesn’t alleviate that sense of panic, I know. So let’s go through the simple steps of dealing with the unusual login attempt and then tightening up your Instagram account security once we’re done. Pretty darn sure I haven’t visited Moscow in the last few weeks – or ever, actually – so this is undoubtedly some Russian hacker trying to get into my account. Or, more likely, some program that’s trying to break into thousands of accounts simultaneously. Either way, definitely no bueno! I strongly encourage you to use a password manager or otherwise track your passwords in a secure file or document; otherwise you’ll succumb to the common strategy of using the same password on multiple, or even dozens of sites. If any of them are compromised, then all of your accounts will be open to hacking. Remember, good passwords have upper and lower case letters, digits, and some punctuation marks. I’ve been using completely random passwords generated by 1Password, so they don’t have any patterns or aren’t even based on mnemonics. Essentially impossible to guess. If Instagram reports your account as frozen or locked out, make sure you aren’t using a VPN on your mobile device as they can show you as bouncing around the world which is highly suspicious to their algorithms. Also try going to the Instagram Web page to log in through a Web browser – then reset your password. None of that works? Well, now you’re in uncharted territory and should head over to the Instagram support center to try and get some help. Good luck. If you’re logged back in and all is good, which is hopefully the case, it’s time to improve your account security. You’ve already picked a better – and unique – password, but you should turn on 2-factor authentication for your Instagram account! This means that even if someone has your password they still can’t log in without knowing the temporary security code that’s sent via text message to your phone. For you, it’s easy, but for anyone else, it stops ’em cold. Here’s my tutorial on how to enable 2-factor authentication on Instagram. Just do it. 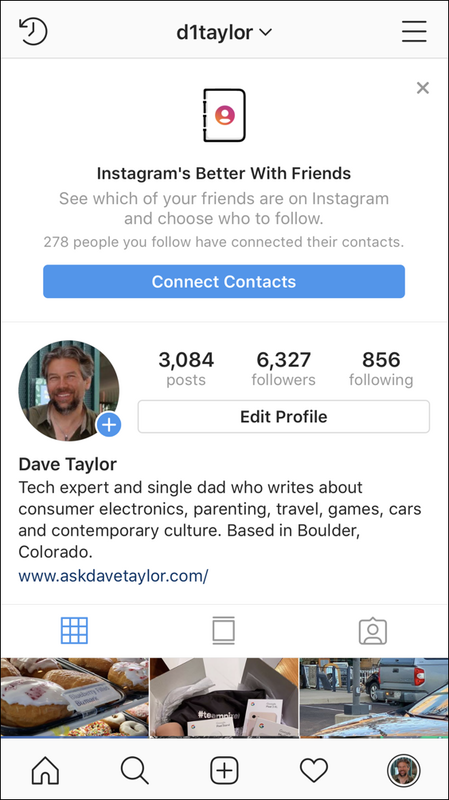 Pro Tip: Please do follow me on Instagram while we’re talking about the service: @d1taylor and don’t miss our many Instagram help articles here on the site too. My guess is that your login was hijacked somehow. I would wait until you can get to a reliable VPN secure connection or just wait until you get home post-holiday.